Media Panel simple with color and titles! Adjarian Wine House was established in 2010. 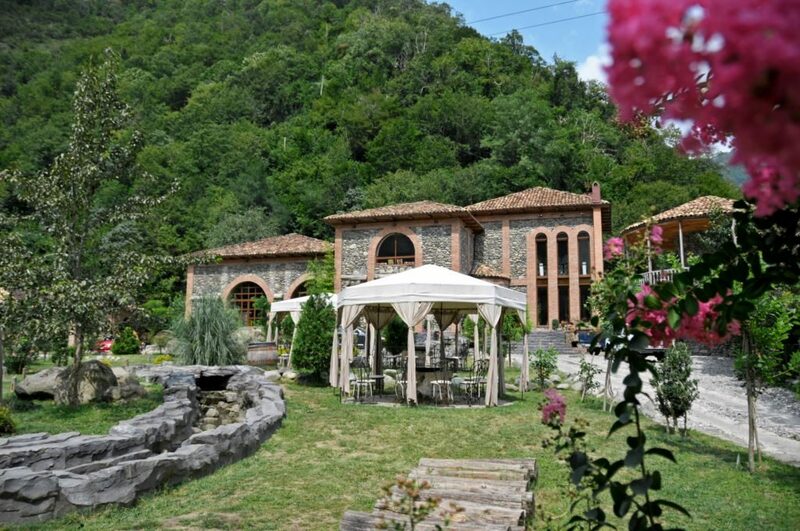 It is a small winery with at a beautiful location 15 minute-drive from Batumi. It was built on the ruins of an 18th century historical winery in Adjara. Winery restored the historical winemaking traditions of Adjara and re-introduced some old, unique wines such as “Chkhaveri” that are characteristic to this region.